Join us for everyone's favorite Easter Tradition, "Dying Eggs". 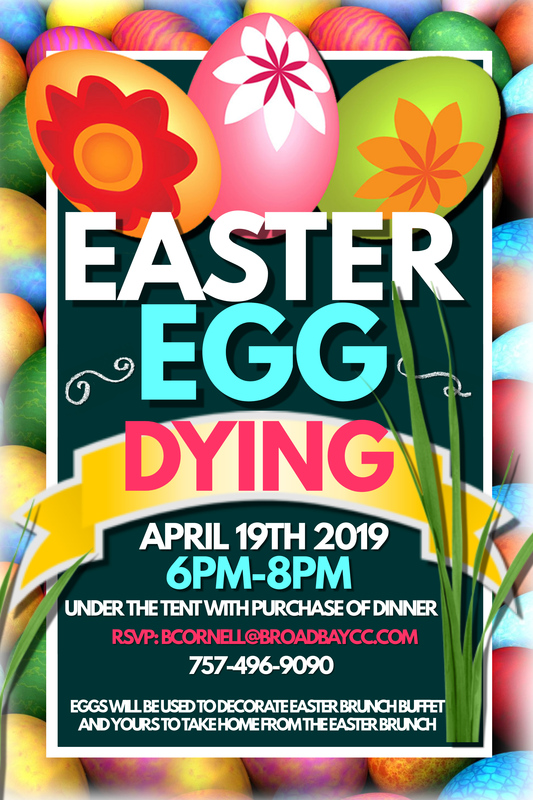 On Friday, April 19th, the Broad Bay Staff will be enjoying the nicer weather and longer hours of sunlight under the tent Dying Easter Eggs with its members. Egg Dying is Free of charge with the purchase of dinner at Broad Bay. Call us at (757) 496-9090 to make your reservations.